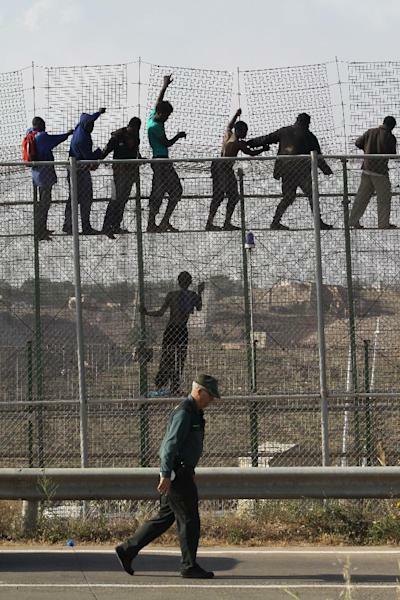 MELILLA, Spain (AP) — Around 700 African migrants charged Spain's barbed-wire border fences Thursday in the country's North African enclave of Melilla, clashing with Spanish and Moroccan border police. Spain said 140 of the migrants managed to enter Spanish territory despite the efforts of the border police. It was the latest surge in the tide of African immigrants trying to cross into Europe. 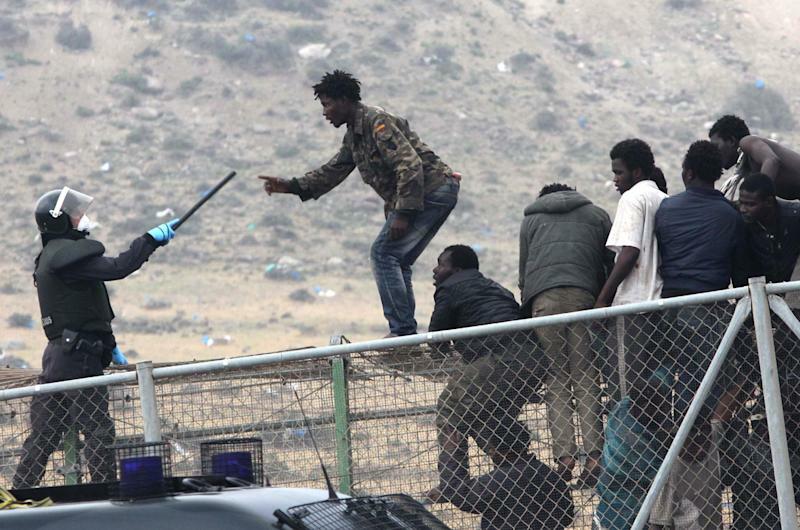 Spain's two North African enclaves of Melilla and Ceuta are particularly vulnerable and have had repeated attacks by hundreds of immigrants this spring. The migrants on Thursday rushed the fences in two waves, with 500 arriving in the early hours and a further 200 four hours later. 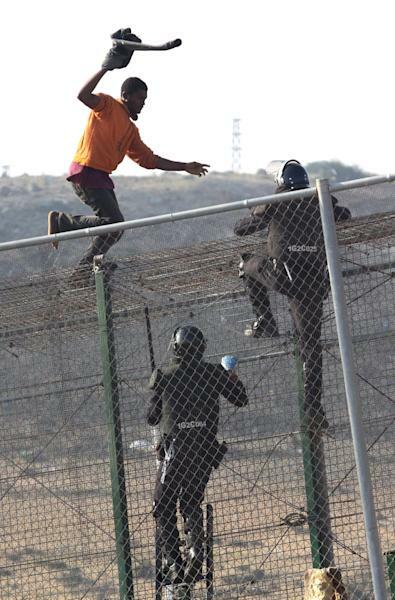 By afternoon, more than 150 people remained perched on an outside border fence, fending off police by setting fire to clothing and throwing it at them, Spanish officials said. Some even swung batons wrenched away from officers. Police used pepper spray to try to force migrants down from the 20-foot (6-meter) -high fence, but some climbed onto the lamp posts used to illuminate the border. The Interior Ministry statement said some migrants were treated by Red Cross staff and five were taken to the hospital. It later said 12 police were injured. The new arrivals to Spain made their way, some hobbling, to the region's temporary immigrant center, which now contains more than 1,900 immigrants, the statement said, adding this meant the facility was above its capacity. The European Union's southern countries — France, Cyprus, Greece, Italy, Malta, Portugal and Spain — are unhappy about bearing the costs of border enforcement. Spain and Morocco stepped up border vigilance in February when 15 migrants drowned trying to enter Ceuta.